Thanks to the amazing support of Prometheus Real Estate Group, Outdoors for All has been able to reach more people. 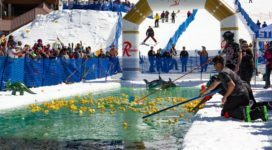 With their PORCH Program, Prometheus gives back to the community to a charity of choice and Outdoors for All has been one of the chosen charities the last couple of years. For one of their PORCH Fundraisers, Cliffside, a Prometheus property in Gig Harbor, hosted a BBQ and raffle for its residents benefiting Outdoors for All and our adaptive programs. Little did we know, the hand cycle we brought to give residents an idea of what one type of adaptive cycle looks like, would get some great use. After getting on the bike, she cycled around, excited at how much easier it was than she expected. This was the first time Adrienne had been on a bike in ten years and she hopes to be able to sit ski as well. 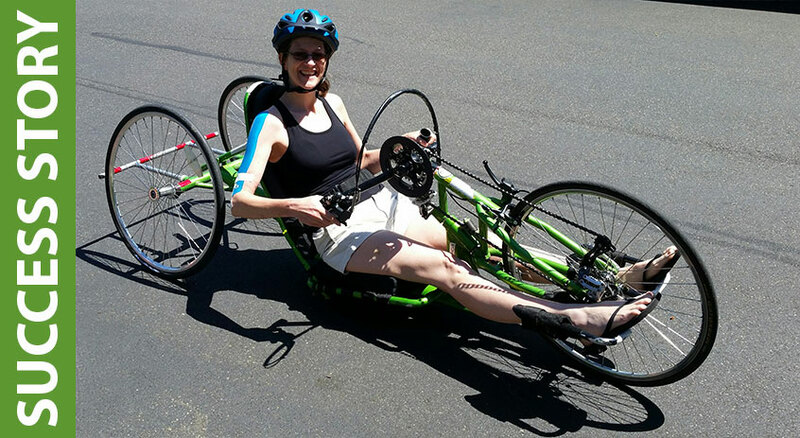 Adrienne loves to play, and was named an ambassador for, Wheelchair Pickle-ball, but is looking for more ways to get back into the outdoors she loves with cycling and skiing. Thanks to partnerships like Prometheus and their PORCH Program, Outdoors for All is able to reach more people, like Adrienne, to get them to experience new activities, or introduce them to new ways to do favorite activities, in the outdoors. Download a PDF of Adrienne’s Success Story.